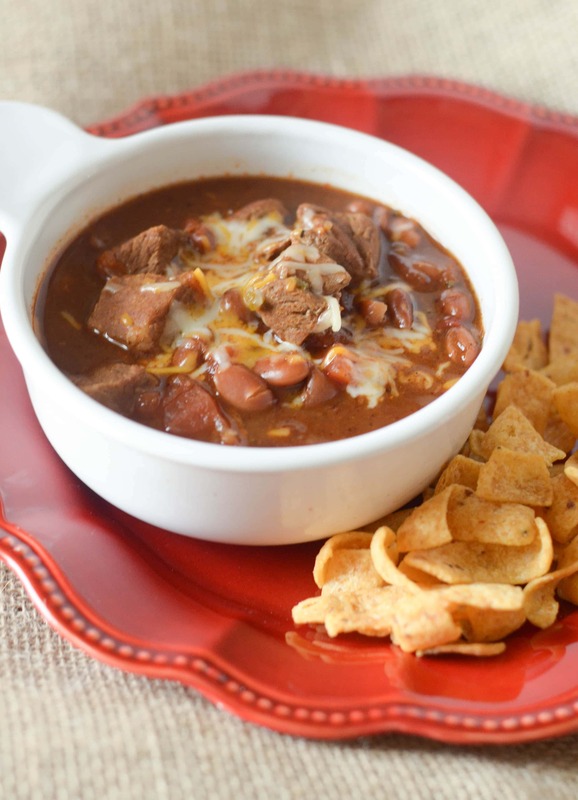 Make a delicious bowl of Slow Cooker Chili Beef Stew on a cold fall or winter day! Shivers all around…it’s cold outside! Is it cold in your area yet? As we sort of reset ourselves back into a routine again post holidays, this Slow Cooker Beef Chili Stew is PERFECT for those cold days. 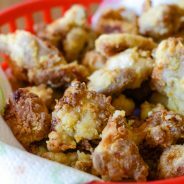 I shared this recipe a few years ago, but it is still a favorite around here. I love to serve it on cold days, mostly days where we can stay in and warm up by the fire. I thought I would share this Slow Cooker Chili Beef Stew because tomorrow is Halloween. It’s going to be a cold, rainy Halloween around here too, so this is just the right choice for dinner. 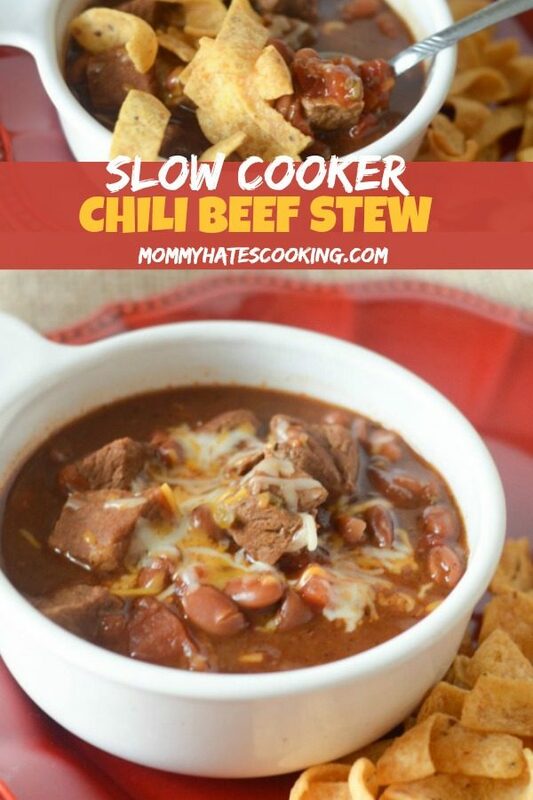 How do you make Slow Cooker Chili Beef Stew? This Slow Cooker Chili Beef Stew will be made just like you would chili, but instead of a ground beef, use stew meat. 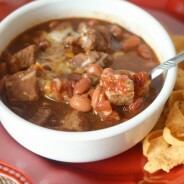 I actually prefer chili with stew meat, it’s just such a great smooth meat to be added in. It’s the best kind of comfort food, plus what a great combination of stew and chili. It makes for a great dinner choice. 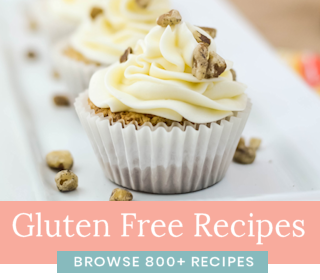 It’s also a great recipe for the slow cooker. 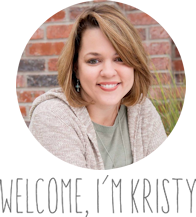 Can you make Instant Pot Chili Beef Stew? Yes, of course! If you want to make this in the Instant Pot, simply sauté your stew meat first, then continue on with all the remaining ingredients. It would need to cook on high pressure for 4 minutes. 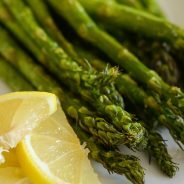 Have you seen the new Ninja Foodi? This is the pressure cooker I am using now and it’s amazing! 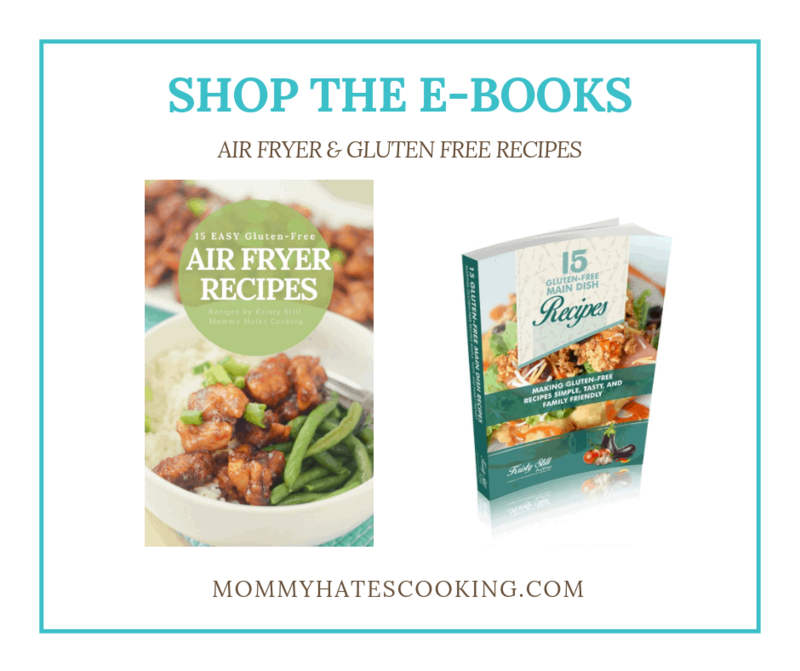 It’s actually a pressure cooker plus an air fryer, all in one! This chili is an adapted version of my traditional chili except this time I replaced the ground beef with stew meat. I love how thick and hearty stew meat is, plus it’s so tender once it’s slow cooked all day. It’s delicious, warms the soul and cooks itself…what more could you ask for? 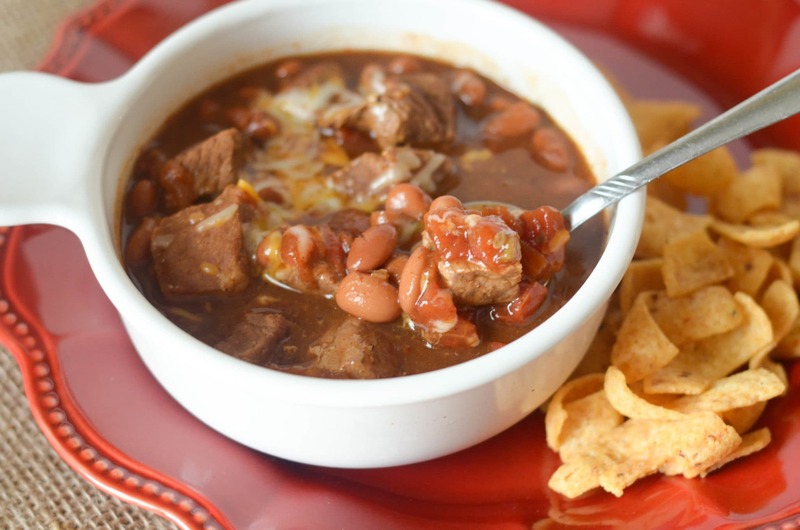 What do you need for Slow Cooker Chili Beef Stew? 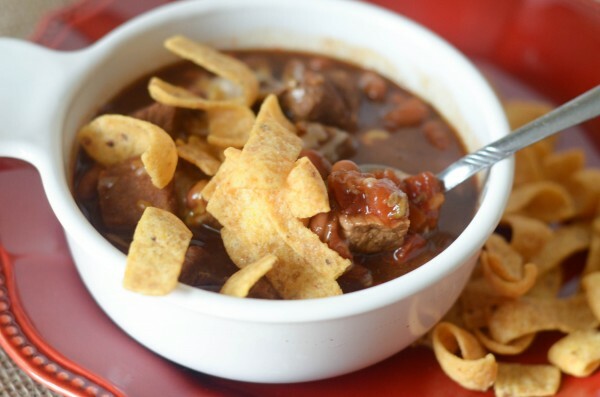 What should you serve Slow Cooker Chili Beef Stew with? I think it is absolutely wonderful paired with Homemade Cornbread. It’s time to warm up tonight with a nice pot of stew and you get the best of both worlds because it taste like chili with stew meat. Are you ready for a bowl of chili tonight? 2 16 oz Cans of Bush’s Chili Beans Be sure to use Gluten Free Chili Beans, if needed. If you haven't already in a medium sized skillet, sear the stew meat to get it lightly browned on all sides. 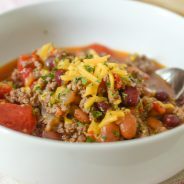 Combine the meat along with all the chili ingredients in a 6-quart slow cooker. Serve topped with cheese and side of your choice. Love the look of this. 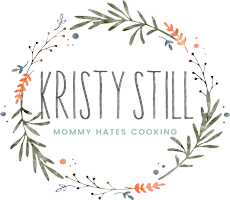 Slow cooker meals are so handy! !